Last week, the Art around the World class visited South America. We have explored the South American geography, culture and art. We looked at various fabrics and noticed the bold, bright colors and vivid patterns. Then we replicated that effect with our mirrors. 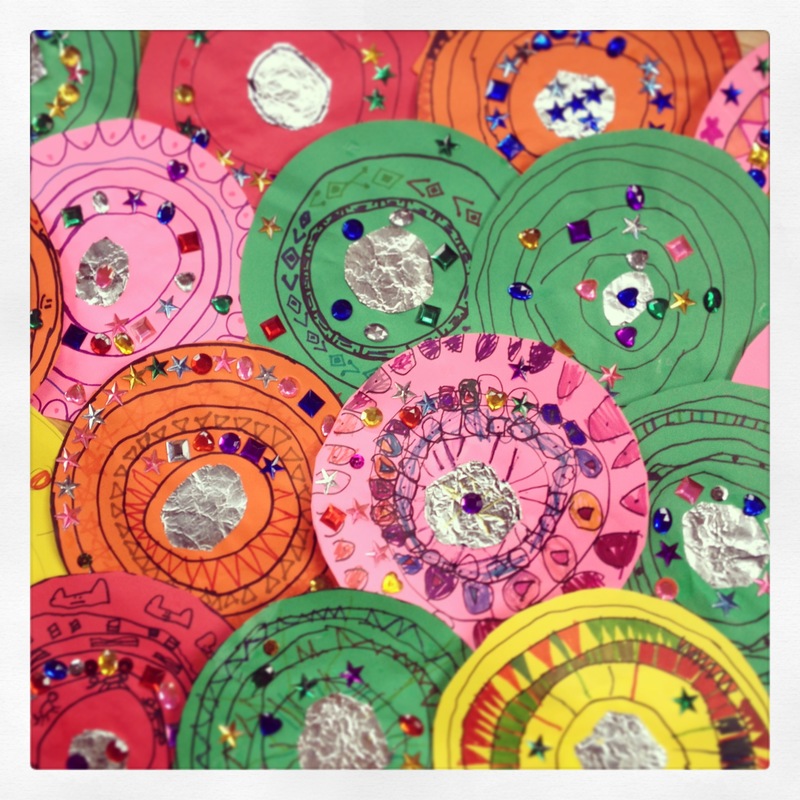 Kids created their own patterns – some of them used geometric shapes, others used organic ones… some kids used only colorful sharpies, other added a lot of gems and sequins. They started by cutting a circle out of a paper and gluing a circle out of aluminum foil into the middle of it. Then they drew several circles (getting larger from the center) and filled them with their unique patterns. It was super fun and easy for all of the kids (K-5)! 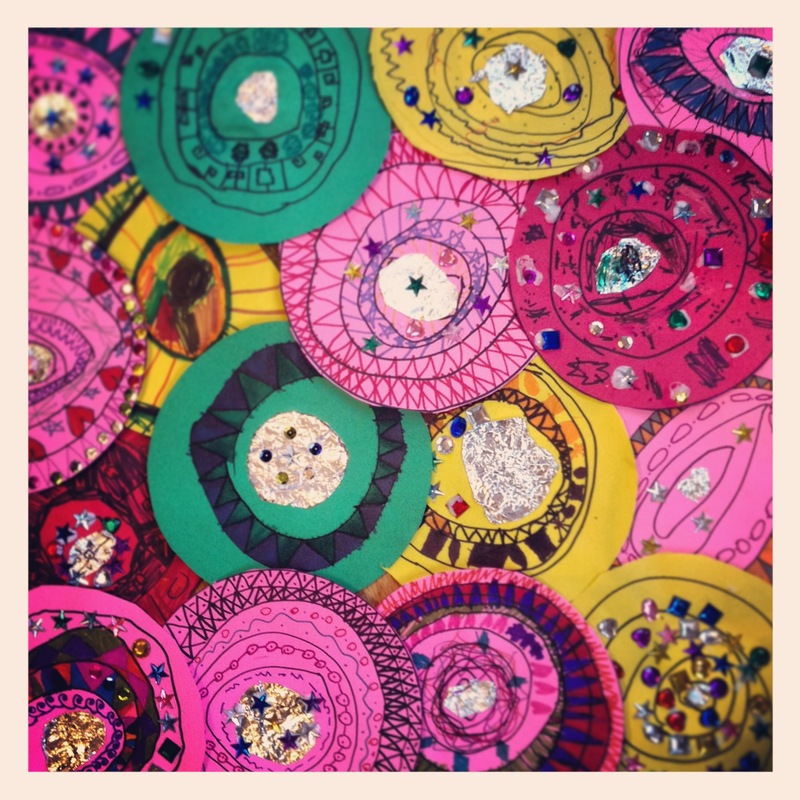 This entry was posted in Art Projects and tagged art, ArTree, gems, kids, magazine, mirror, pattern, project, sequins, sharpie, south america. Bookmark the permalink.